Face It: Growing up with Cleft Lip and Palate can be tough, but we’re tougher! The Cleft NZ Dare Kenny Tough Guy Challenge took place on Saturday 18 August in Rotorua – photos are now available at www.facebook.com/FaceItNZ or check out the video below! Growing up with Cleft Lip and Palate isn”t easy, sometimes it can feel like a bit of an obstacle course with many different hurdles along the way, but with a bit of encouragement, support and general toughness, we manage to complete an obstacle course that would break many people at the first hurdle (a lot like the big balls on wipeout). Speaking of obstacle courses, that brings us to our latest fundraiser – the Dare Kenny Tough Guy challenge. Despite being the nice guy that he is, I think it is fair to say, he isn”t exactly the toughest person to ever grace this planet physically, so what better way to take advantage of his good-will by challenging him (dragging him kicking and screaming) to do the Tough Guy obstacle course to raise funds to develop a new Outward Bound programme for Cleft New Zealand. What does the Tough Guy challenge involve? 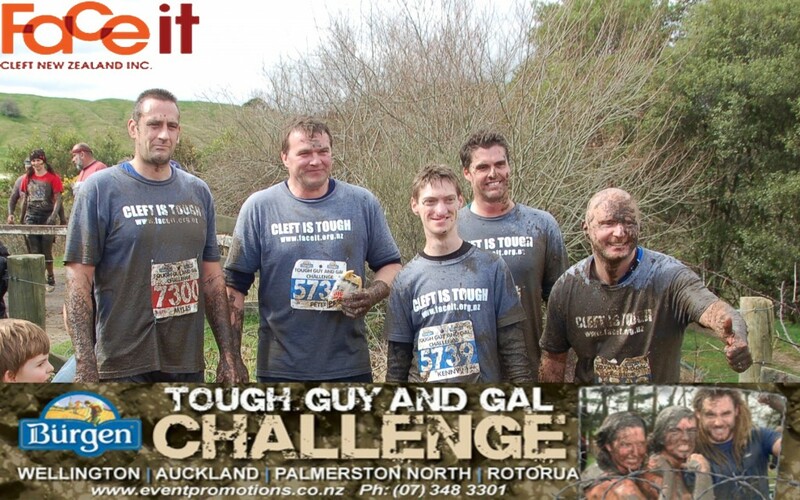 The Tough Guy & Gal Challenge is a 6km physical assault course in Rotorua. The course includes water trails, net climb, crawl under barb wire obstacles, swamp crossings, native bush trail, wobbly water bridge, open paddock running, hurdles, wire rope bridge plus what the event organisers have described only as “a new surprise”. 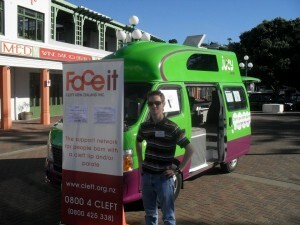 Kenny didn”t have to do the course alone though, he was joined by Cleft NZ”s Auckland Co-ordinator Louise, and a whole team of supporters. Meet the rest of the Tough Guy Challenge team here. Saturday 18th August 2012 at Hell”s Gate, Rotorua. So, what exactly are you raising money for? As we said, growing up with cleft lip and/or palate is tough, but we”re tougher and go on to achieve great things and not let anything hold us back. Outward Bound is an amazing character-building endurance course, designed to push people to the limits and unleash their inner tough guy/girl. We would love to be able to provide this life-changing experience to members of our cleft community in New Zealand who are ready for a new challenge, and so we are fundraising with the vision to providing this unique opportunity in the future. More info on Outward Bound is available here.